Inspiring Interviews: What are they and how can you get involved? A few weeks ago, I decided to interview an acquaintance for my blog. I wanted to discuss creativity, life and small business. Not just for my blog either, but for me. I am naturally curious and there are so many people out there who intrigue me with their brilliance. I wanted to start talking to people, exploring what made them tick and learning from them. I reached out to Myro and she said yes to an interview. This was, perhaps, one of my best moments. I spend so much time on Etsy and watching videos around TED and YouTube. I spent some time thinking about the direction of this blog and realised I wanted to share creativity and inspire people. The direction of my blog is hard to assess. I know what my ultimate goals are and I am striving to achieve that, so I started offering to interview people who inspired me. If I am inspired by you then it makes sense that you are inspiring others. I was delighted when Myro offered to do a giveaway too. It was a wonderful way to start the interviews. But that isn’t a prerequisite of getting an interview on here. I interview you because you do something awesome, whether that be making cards, writing, maintaining a small business or writing poetry, I want to hear from you. 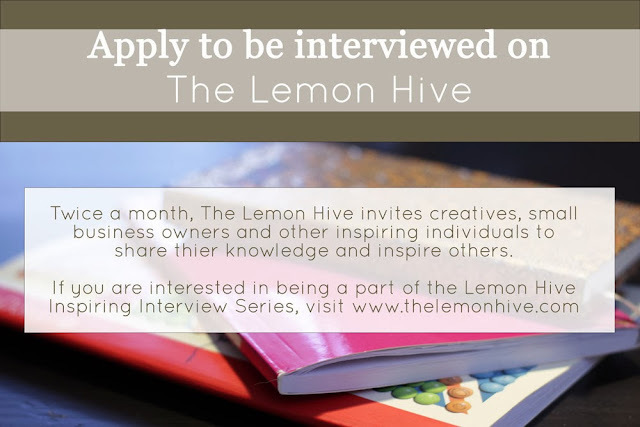 If you’re interested in taking part and being an inspiring interviewee contact me by filling in this form and letting me know what you’re interested in discussing. Perhaps you know of someone who would like to be involved in this project. In that case share the image below via Pinterest, Facebook and other means! I would also like to declare that I do not receive any payment for these interviews. I do not request monetary or gift in kind payments for these promotional interviews at this current time. Occasionally, the owners of the business may send me a gift after the fact, but I do not seek out, nor do I request any item in exchange for their business promotion. I share products and interview people that I enjoy. The main focus of the interviews is to explore creativity and inspire others. The complimentary nature of the Inspiring Interview series is subject to change. If you are interested in being a part of this fun series, please fill out this form. Due to the nature of my blog, I will only pursue applicants who have a story that fits with the nature of the blog.